Home / Fanboying! 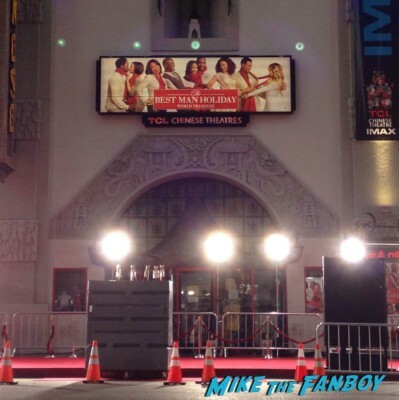 • Karalee • Movie Premieres / The Best Man Holiday Premiere Recap! 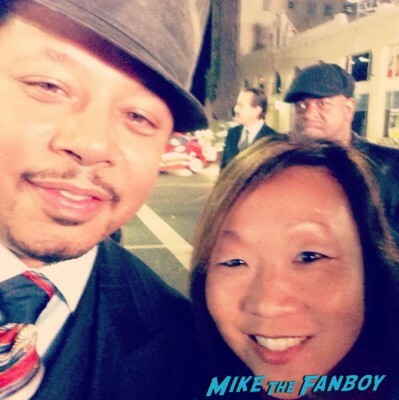 Karalee Meets Terrence Howard! Regina Hall! 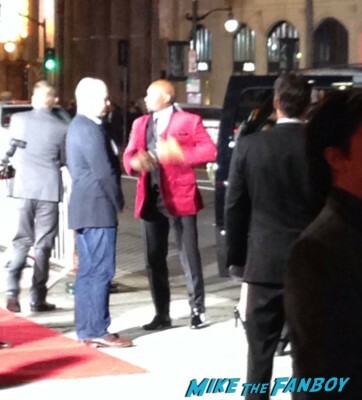 But Fanboy Fails With Morris Chestnut! Doh! I love me some Karalee! Love her! She’s adorable and sweet and uber awesome! Karalee headed down to The Best Man Holiday premiere. Now, this girl loved the first movie so much, when she heard there was a premiere for the second she jumped up and down with excitement. I love, love, LOVE “The Best Man” and can’t wait to see the sequel, “The Best Man Holiday.” I saw the first film three times in theaters when I was in college and then would watch and re-watch the DVD every night. I knew heading out to the premiere might be a long shot — a small crowd was expected and a light crowd means it’s harder to get the stars to come over. But given my love and excitement for the film, I figured why not try? I’m hoping for a photo with Taye Diggs and/or Sanaa Lathan. When I arrive, there’s a handful of fans milling about, waiting at the barricade. I could tell that many of them were tourists and would not hold out till the actual arrival time. I start out across the street from the drop-off point, but then decide that, given the extremely small crowd size, my best bet is to try and stand on the same side as the drops, off to the side (many thanks to the Lovely Erica for that tip). It was already doubtful that the cast was going to cross the street to greet fans, but with that small of a crowd, they really weren’t going to make the effort. 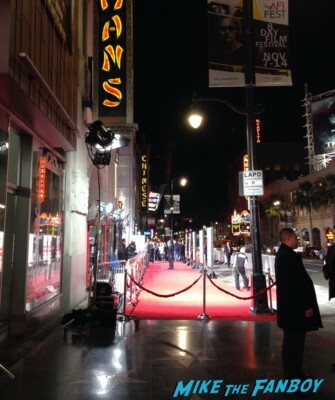 I scope out my new spot near the red carpet and realize I’ve got time to kill. With no crowds to fight for space with, I do what any self-respecting fangirl would do — I went to DSW and bought some boots. After stashing my new purchase in my car, I head back to the barricade and — shock of shocks! — there’s still no one there. As the arrival time approached, more fans started lining up. I spied two graphers, but other than that, nada. Right before arrivals start, security announced that we couldn’t stand where we were and we needed to go across the street. Really? All 12 of us need to move? Um, negatory. I hang out off to the side, as do the two graphers. We all know that our best bet at anything is right where we are. 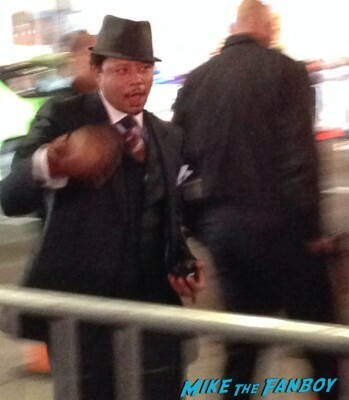 The first drop is Terrence Howard. One of the graphers starts calling for him, and Terrence comes right over. 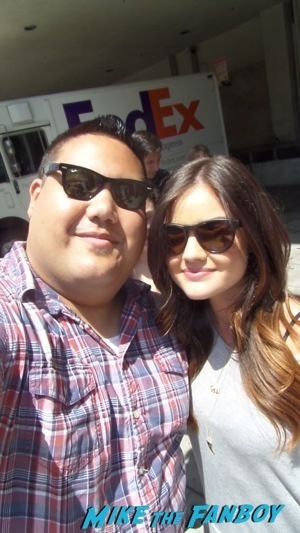 He signs for the graphers and then takes photos with several fans, including me. He was real chill and it was really nice of him to come over. Because, as it turns out, he was one of the very few who would. I’ll zip through the rest of the arrivals, because, well quite honestly, that’s kind of how it felt as it was all going down: all kind of a blur, with some waves and smiles but not much else. Taye Diggs: Nada, sadly I don’t even recall him looking over our way. Sanaa Lathan: Stunning smile, big wave, nothing more. 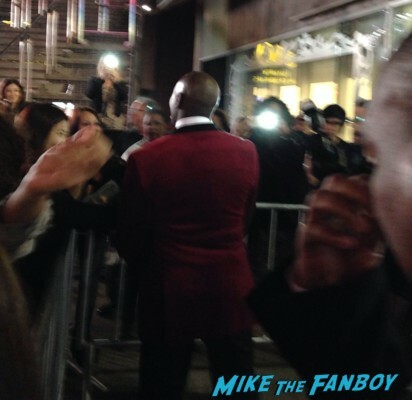 Morris Chestnut: We call for him, and he comes right over, happy to sign, taking his time with the fans. Sadly, this is where my fangirl fail of the evening occurs. He stands shoulder-to-shoulder with me for what seems like 20 seconds as I try and take the photo of us. And I thought I did, I really did. And then he was off to greet more fans and I’m left with no photo. For some reason, my camera didn’t work. Grrr!!! Oh well. I have a photo with him from when the first “The Best Man” came out in 1999. Guess that will have to do for now. Regina Hall: She waves, hesitates for a moment, but then comes right over. She’s so pretty in red and so sweet. She starts to lean in for a photo with me but then then her publicist stops her and says “No photos, we’re super late.” Really? In the time it took you to say that, I could have taken the picture. Bummer. Eddie Cibrian and LeAnn Rimes: Big fat zero. We never saw Nia Long, Harold Perrineau or Melissa De Sousa arrive, though they were there. 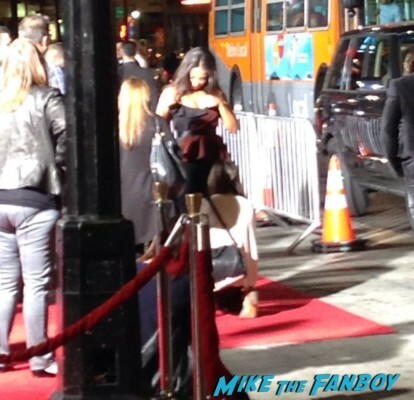 Monica Calhoun was the last arrival we saw, but she was so insanely late that she waved and rushed onto the carpet. I spotted lots of celebrity guests, including Michelle Williams (Destiny’s Child), Ne-Yo, Lil Mama, Eddie George (former NFL star), Russell Simmons, and several women from “Basketball Wives.” But none came over. I stuck around for a short time to see if any stars exited early. Sanaa was the first to leave, and then Regina and Melissa exited together. More smiles and waves but that was it. While I only walked away with one photo, it was still fun to see up-close the cast of one of my favorite films and it was nice to have some extra elbow room at the barricade. Thanks for letting me share (sorry the quality of the pics is so poor! )…catch ya on the flip side! The Legend Of Hercules New York Movie Premiere! Kellan Lutz! Renny Harlin! And More! TTM Tuesday! BREAKING! One A-Lister Is Returning All Fanmail! The Walking Dead No Longer Wants Mail! And Jason Alexander Weighs In On Autograph Collectors & What Not To Do! Addresses And More! 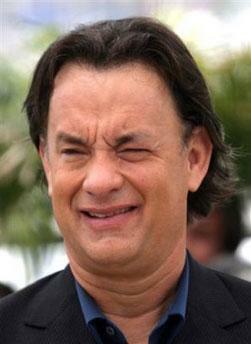 Sam Jackson, and Anthony Mackie are great examples. Why don’t you go ahead and add Queen Latifah and Tarji P. Henson to the list while you’re at it. Samuel L. Jackson signs. I got him at The Avengers and comic Con. I don’t think signing autographs depends on the color of anyones skin. Wow, this conversation got “racey”. God, I’m punny!